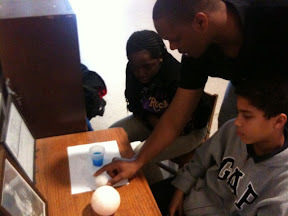 Mr. Brandon conducts a lab that demonstrates the connection between moon phases and tides. Welcome to the last week of March! Dress Down Days (for a good cause). Ms. Carol's Homeroom Studies Surface Area! Welcome to your classroom's blog!